Maplewood Dickens Village is a festive gift from the business community to the local residents and visitors. Horse-drawn carriage rides, carolers, concerts, refreshments, children’s activities, and more – all help our town to be one of the best places to live in New Jersey. 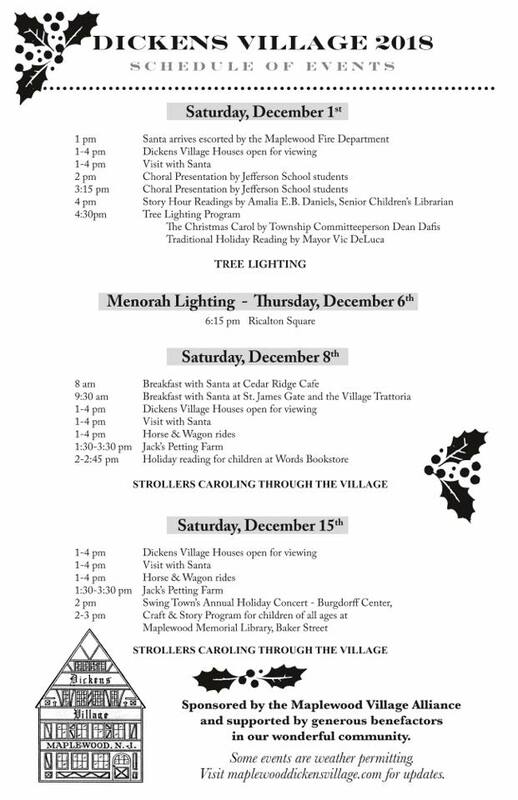 This treasured community tradition runs throughout December, look below for a detailed schedule of events.